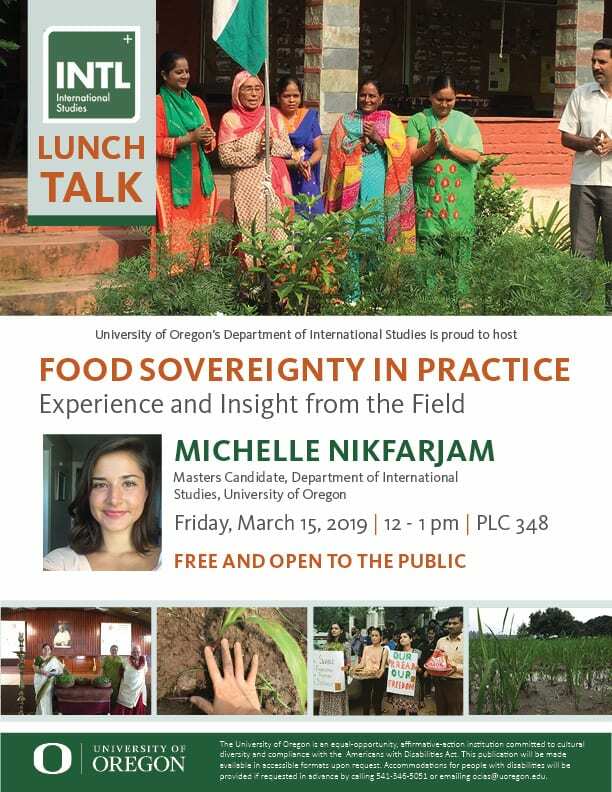 Join us for the upcoming Lunch Talk with Michelle Nikfarjam on Friday, March 15 at 12 p.m. in PLC 348 for a discussion about her research and experiences surrounding modern day Food Sovereignty in India. INTL Lunch Talks are Free and Open to the public. Coffee and light snacks will be provided.